When prospective parents are considering adopting a baby, they are often told to be prepared for possible heartbreak. 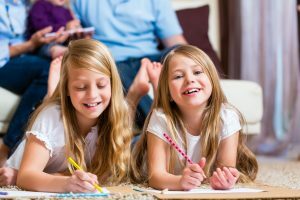 The standard adoption process has resulted in numerous families looking to adopt, along with plenty of children still in need of a loving home. A is 4 Adoption aims to reduce the waits and complications that are commonplace for almost any adoption agency in California. Our center focuses on open, domestic adoptions nationwide. 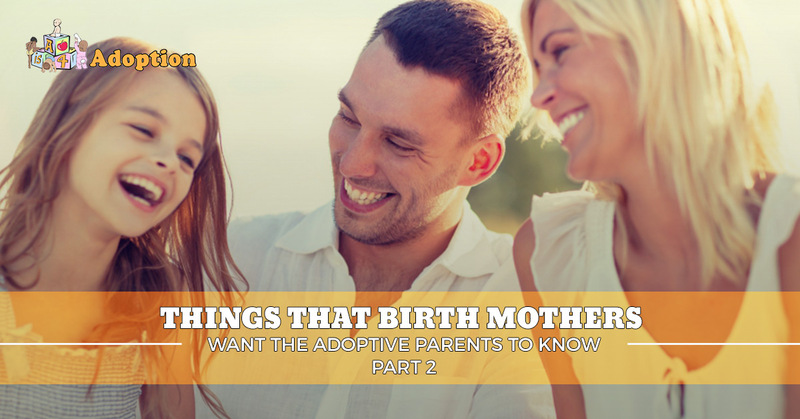 In our last blog, we discussed several thoughts that many birth mothers have wanted to express to their child’s adoptive parents. Today, we’ll cover a few more things that may offer insight for prospective parents seeking to adopt. Our goal is to foster an environment that benefits all parties in order to provide the best situation for the child. Reading these thoughts may help the process! Putting my child up for adoption wasn’t a selfish choice. If you talk to a birth mother about their choice of private adoption, they more than likely wanted to have and keep the child. Oftentimes, the birth mother does want to keep their baby, but cannot due to life events and other circumstances. There is a negative stigma in this country surrounding birth mothers, which we believe to be widely misplaced. A birth mother’s choice to give their child up for adoption is an ultimate statement of love, where the needs of the child came before the emotions of the parent. As such, acknowledging this sacrifice can go a long ways in fostering a positive relationship between both parties. Educating the child about their origins can be very helpful. Many moms yearn to see their child grow up and thrive, but know that unnecessary involvement can be damaging. Most of these birth mothers hope that their child is raised knowing who their biological mother is and where they came from. This idea also builds on the strategy of open communication with the child once they are old enough, including the fact that they were indeed adopted as well as pertinent background information about their mom. Birth mothers and adoptive parents alike can benefit from this process, where open communication creates trust and compassion. Honesty means everything. Building on the previous statement, open talk about the child as well as parenting strategies can be very comforting for the birth mother. One common occurrence after adopting a child is the adoptive parents withholding information to keep the birth mother’s feelings safe. Being able to discuss important topics in a safe and judgement-free manner can help to further strengthen the relationship between the child’s birth mother and his or her new parents. The more people that love the child, the better, so why not create a larger community that focuses on the best interests of your new miracle? Moving on isn’t a possibility. It’s important here to state that the birth mother will never stop thinking about their baby. This child is a part of the mom, and as such, she will always think about her child. Many adoptive parents have the notion that the birth mother will get used to this new process and move on, rarely considering the welfare of her offspring. The opposite is usually true. The birth mom will yearn for updates on their child and take joy in their kid’s achievements. The benefit of open adoption is the birth mother’s ability to receive regular updates on their baby. This factor is helpful for convincing mothers-to-be to choose adoption. You will always be the parents. An interesting dynamic forms between both parties in the adoption process, where adoptive parents are constantly trying to prove their worth as legitimate parents in the mother’s eyes. Oftentimes, birth mothers will acknowledge that their child’s new parents are putting in the love to raise this bundle of joy, and therefore are the legitimate parental figures. While it can be hard to verbalize this, birth mothers tend to express their deep gratitude for having a couple that can provide a stable, loving household for their child. Typically, the mother will enjoy the satisfaction of seeing their child grow up and flourish in a supportive household. This happiness is well worth the pain of putting their child up for adoption in the first place. Understanding a mother’s concerns and wants can help adoptive parents to be able to more effectively care for and share the joy of raising their child. A is 4 Adoption was founded to improve the adoption process. Our adoption center aims to reduce the red tape and shorten the waiting process in order to deliver more babies in need into the arms of waiting parents. Unlike any nearby adoption agency in California, our organization focuses on individual wants and needs to create a plan that fully benefits all parties. From educational resources for adoptive parents to supportive birth mother help, we do it all. Contact us today to learn more about our program today!